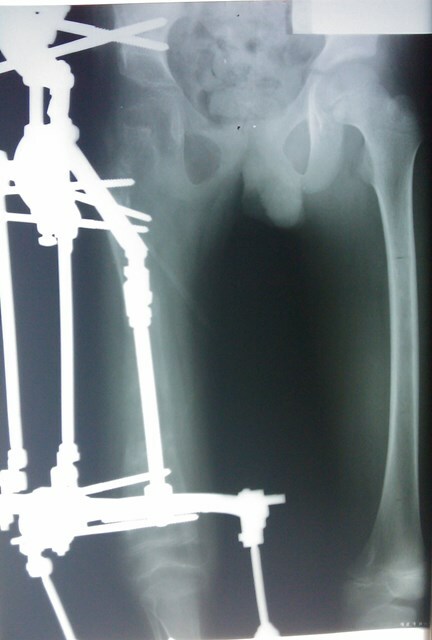 Proximal femur deficiency hard to treat but possible and need a special experience and I use my modified small external arc fixation system Salamehfix to treat .and this is one severe case needed multiple stages for treatment and had a good results. 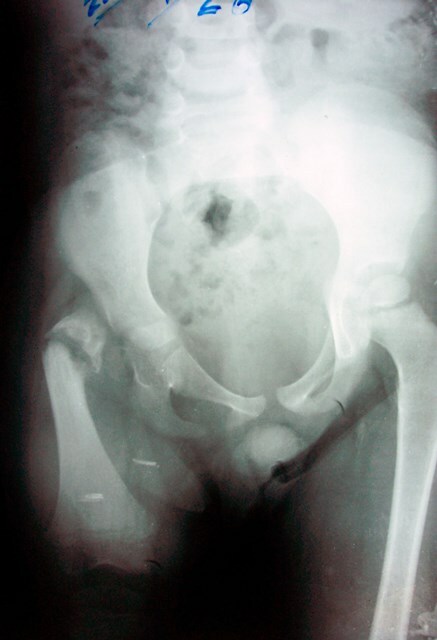 Starts of treatment at 4 yrs old .with several stages reconstruction proximal femur ,hip reduction , maintaining hip in reduction , lengthening femur here in this case up to 15 cm with correction of axial deviation and proection knee joint from contracture using my special arc hinges . but this case need follow up until skeletal maturety .